Want to buy yourself a Nexus 7? It's not going to happen. Google has apparently given up on selling the 7-inch device directly to consumers, choosing instead to focus on the Nexus 9. But the bad news is that the larger, newer tablet isn't hitting the heights the Nexus slate managed during 2013 and 2014, with Google's earnings call confirming that the tablet isn't performing as well as its predecessor. In fact, both the Nexus 9 and smartphone Nexus 6 aren't selling in the same numbers that Google has hoped they would, with the search giant confirming that the loss of Nexus sales had led to a drop in revenue quarter over quarter. The Nexus 7 isn't technically off sale, as you can still buy it on Amazon for £165/$165 if you still fancy getting a slice of nostalgia. We'll warn you: while it's still getting the upgrades to Lollipop and other current Android platforms as they emerge, the performance isn't as speedy or responsive as on other tablets around right now. The Nexus program as a whole could surely be up for the chop if the devices don't start selling a little better. It was a bold move by Google to only marginally up the power and spec on its new smartphone and tablet and then adding a lot of cost on top – going from £229$349 for the base model Nexus 5 to £499/$649 for the lowest-priced Nexus 6. Will there be another Nexus device? 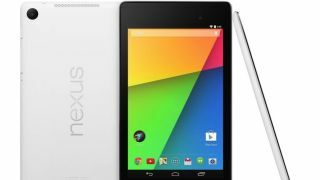 Even if Google does make another one, it's already run out of numbers – the Nexus 10 and Nexus 7 have already been made. Nexus RIP, anyone?